The aisle runner has a long history steeped in tradition, first as protection against evil spirits and then evolving into practical protection for the bride’s gown against mud and dirt. 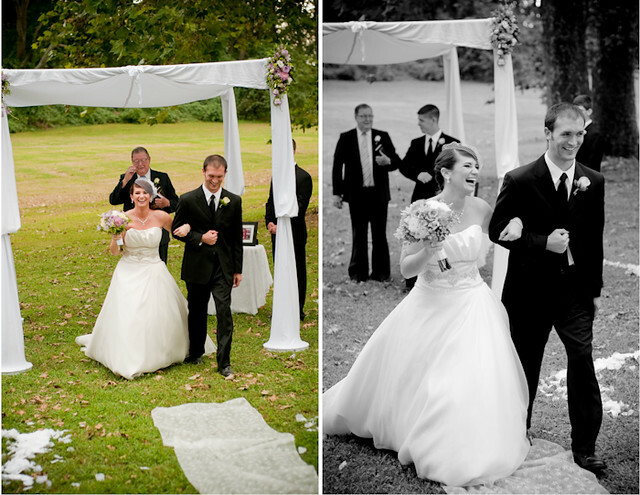 In the modern day and age the aisle runner is typically used to lend a ‘royal’ atmosphere to the wedding decor. They are available in a variety of colors, materials, sizes and can even be personalized with monograms, names, dates and more! While they are a relatively common element in wedding decor and readily available, there is more to choosing your aisle runner than simply picking your color and being done with it. The first key point is where your wedding is going to be located; if it is indoors a standard aisle runner will usually work just fine. 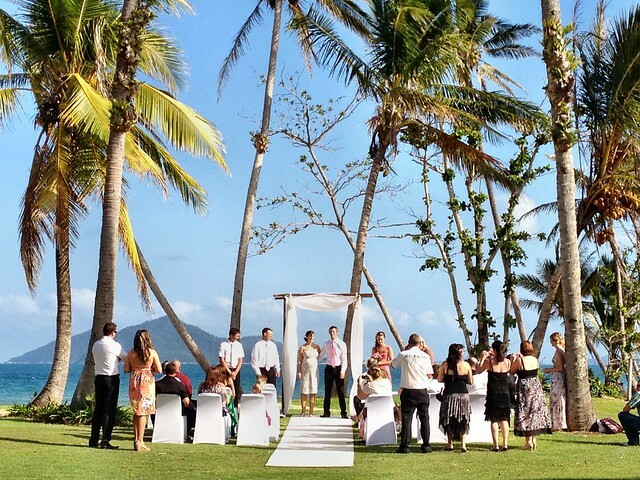 If instead you are getting married on a beach or in a park, there are more details that must be taken into consideration! First and foremost you are going to want to ensure that there is no way that anyone can trip on your aisle runner. The last thing you’re going to want is for a member of the processional to land in the lap of a guest because their heel caught a wayward piece of fabric. Aisle runners can be secured with tacks and tape, though if you are in a public venue be sure to confirm what you are allowed to use on the floor. If the wedding is taking place outdoors and the aisle runner will be placed over grass or dirt, you may want to consider laying down a pathway of plywood first. You can then secure the aisle runner to this and not only will it stay in place but you won’t have to worry about the heels of your gorgeous shoes sinking into the ground and creating yet another disaster-in-waiting. I would recommend testing out any aisle runners before the ceremony, keeping in mind that the bride’s train will often be dragging on the ground behind her and if the runner isn’t secured it might just trail after her down the aisle! If outdoors, be sure to pay attention to wind and any environmental factors. If an aisle runner isn’t exactly what you are looking for there are other alternatives that might be more up your alley. Flower petals, real or fake, can certainly be used to create the appearance of an aisle, and will of course add an element of romance to any wedding. Real petals are advantageous out of doors as they usually would not need to be picked up. Artificial petals are ideal indoors due to the fact that they can be swept up and of course won’t get crushed into the flooring as they are stepped on. Don’t forget that you can take advantage of the available attributes of the landscape or architecture at your wedding venue. 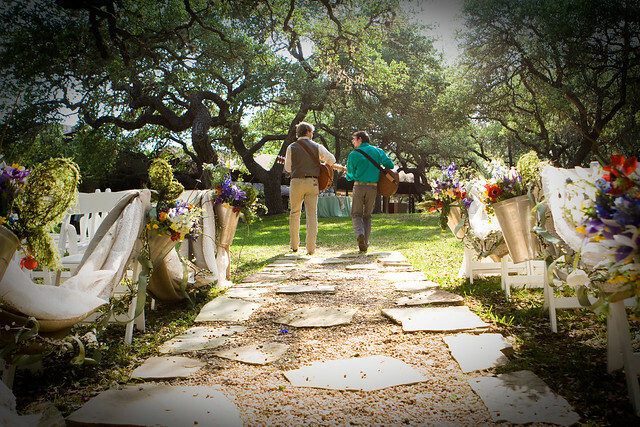 A stone pathway, for example, might just be a perfect natural aisle! You can find our selection of aisle runners here. I hope you found this post helpful and I shall see you Monday with an all-new Real Wedding Feature! Pictures Courtesy of Weddingstar, laura dye, Paul, jwright4701 and Shelley N.